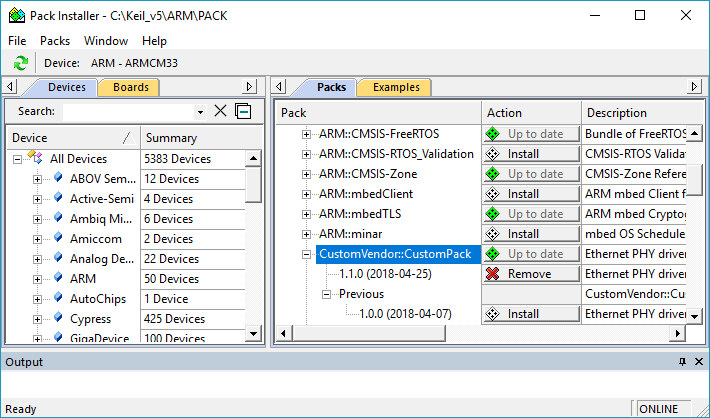 Software packs can be created by Arm, third-parties, customers or you might want to build your own. Software pack files are ZIP files that have the preferred extension *.pack (*.zip is also supported). Pack Installer checks if the file is a valid pack. Import... adds a *.pack or *.ZIP file to the MDK installation. Import from Folder... adds one or more extracted packs from folders to the installation. Apart from importing, you can directly use an existing folder structure that is interpreted as a pack. Refer to Using Local Repositories for more information. The menu File - Import... adds software packs to the MDK installation. Software packs get stored in the folder \Pack\vendor_name\pack_name\version. The picture shows an example of the imported software pack CustomPack delivered by the vendor CustomVendor. The pack has two versions. Only the latest version is installed and can be used in projects. The menu File - Import from Folder... adds one or more extracted packs from the specified folder to the installation. All software packs found below the root folder get stored in the respective folder \Pack\vendor_name\pack_name\version. 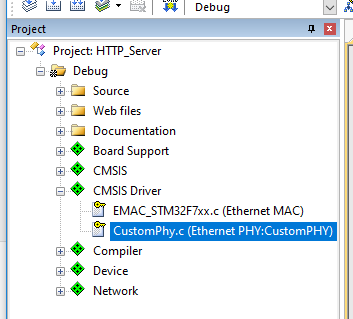 Selecting the component adds the file CustomPHY.c to the software component class CMSIS Driver in the Project window. 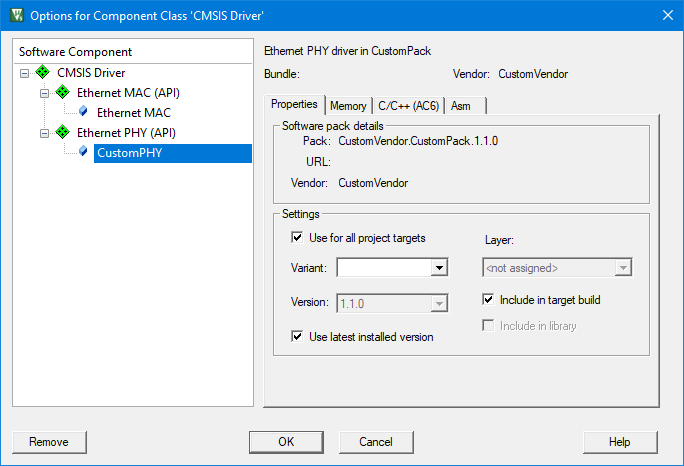 Right-click the file name and select Options for Component Class 'CMSIS Driver'. Click on CustomPHY to set options. 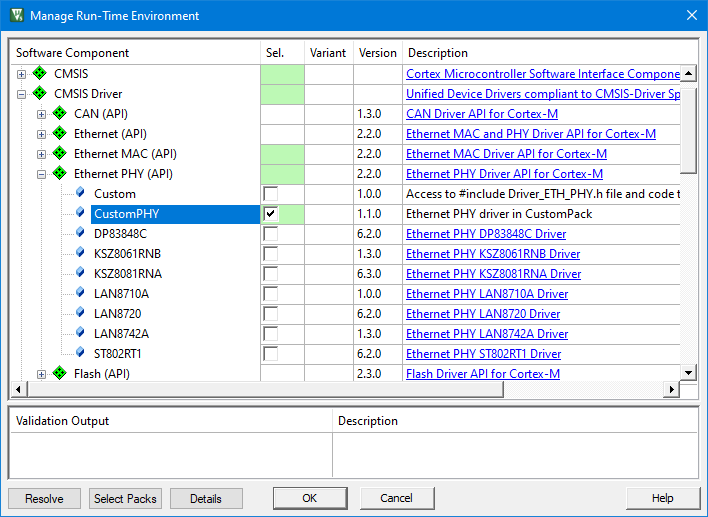 The software pack from which the software component originated is shown on the Properties tab.